Formerly known as the Crown Plaza, the PARKROYAL is part of the Pan Pacific Hotel Group and includes 196 rooms and public spaces The Hotel undertook a major refurbishment as part of the relaunch of the PARKROYAL brand in Australia after a 10 year absence. 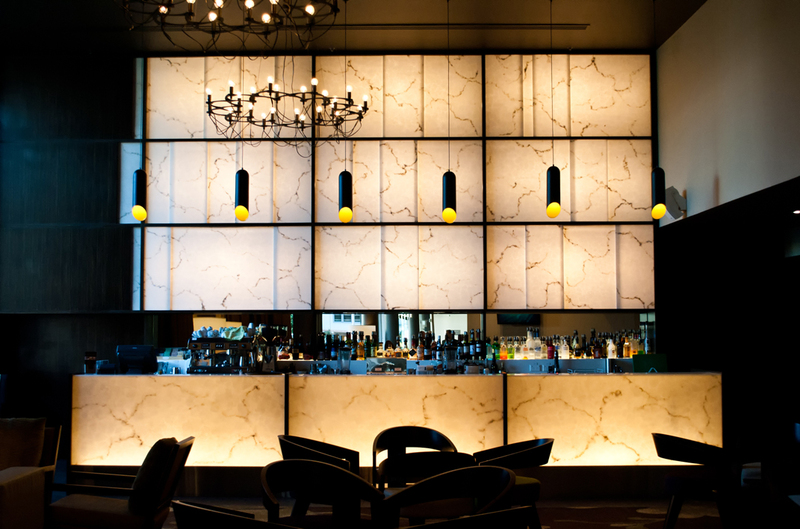 The ‘Hurricane’ colour Marblo® product was used in both 6mm format for the feature wall to the rear of the bar as well as 12mm for the illuminated bar & check in counter tops & fronts. 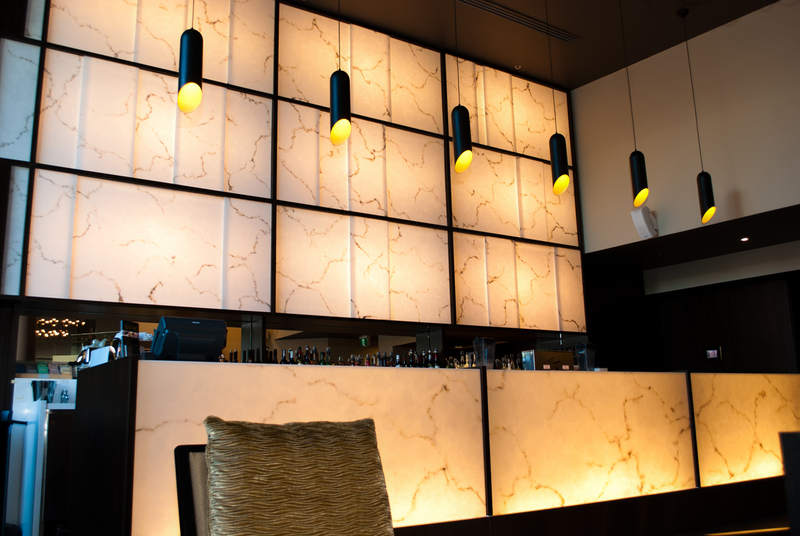 “The reason we used Marblo® is that we wanted a maintenance free transparent feature for the bar that added visual excitement & energy The mixture of Marblo® and a rich timber veneer results is something that’s understated but sophisticated” remarks head designer John Dunn of IDC Design.